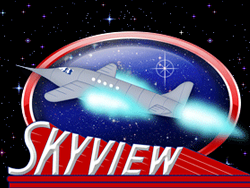 Attraction Introduction: The Skyview Drive-In Movies Theater opened for business on July 8, 1949. Open 7 days a week! Two movie screens. Check out Skyview Drive In Theater, Belleville, Illinois web site for show times, movie listings, history of the drive in, admission prices, photos and more. All window speakers have been eliminated at the drive-in. They are now broadcasting in FM stereo on both screens. Pet Friendly Location? : Yes please leash pet and clean up after them.